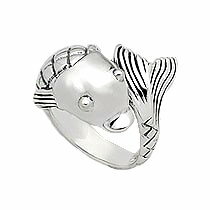 In this 925 sterling silver sealife and fish ring collection you can find; fishes, fish symbols, whales, sharks, starfishes, manta rays and crabs. A tribute to life from the deep. We also have a couple of stainless steel models. I'll show you the silver ones first. 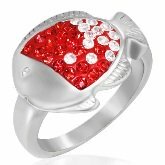 A 925 sterling silver ring band with eight tropical fishes connected head to head and tail to tail. The ring band is approximately 5mm in width. First of all, this is a spinner. When you spin the fishes forward, they look like they are swimming. The background is completely darkened to make the bright shiny silver fishes that go all around 'pop out'. The fishes look very good and the finishing is mirror-like. This is great for Koi lovers. Your beautiful Koi can now hold on to you and go everywhere with you. This ring design is inspired by the Pisces astrological sign where the fishes are usually portrayed swimming in opposite directions. The intricate motif on the fish bodies is another highlight of the ring. The fish bones are prominent as they are embossed. The recessed background is etched dark as well. The width of the ring band is 5mm. Here's a special fish. Manta Rays are the largest of the Rays. We are talking about 'king mattress' big. And you are going to carry all that on your finger. What a feeling? 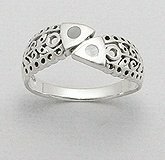 A simple Jesus fish symbol sterling 925 silver ring band that is elegant and attractive. The ring band is approximately 4mm in width. Mmm... It will be a challenge to find a piece of cuter and more beautiful fish jewelry made of high-quality material such as this, yet modestly priced. The fish's body is stuffed with red and clear sparkling crystals and it looks healthy and well fed. Being made of high-grade stainless steel means the metal part of the ring will last and last, looking great and maintenance free.  The stainless steel rings on this page are made of 316L surgical steel. These robust jewelry pieces are very durable, able to withstand moisture, wear and tear and retain their shine. They do not tarnish, discolor, oxidize and are resistant to rust, oxidation, corrosion, tarnish, scratch, acid and alkaline. This grade of surgical steel is made without nickel or lead and is hypoallergenic. 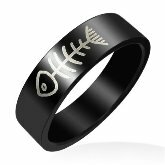 Stainless steel Fishbone rings are way cool and black ones even more so. Are you concerned your sea animal jewelry gifts will not be appreciated? 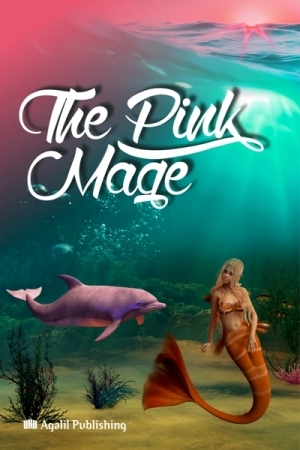 We have created ‘Gift Enhancers’ like The Pink Mage to turn your sea animal jewelry into perfect gifts. 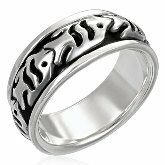 DFR 3183 is a 925 sterling silver hammerhead shark ring. 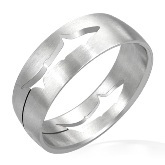 In this shark ring design, the hammerhead shark curls up sharply, head touching tail. The predator of the deep poses strikingly with eyes noticeable on each side of its head. The hammerhead shark certainly has a peculiar look. Not only does it possess a head that resembles a flat hammer, the eyes and nostrils are located at the tips of its head projections! This very cool 925 sterling silver wrap-around shark ring, with the same attention to detail as DFR 0155 above, is meant to strike fear. Beware whom you may startle. Jaw gaping to expose rows of razor sharp teeth and a snarl so ugly Rocky would have been proud of, it stares coldly at the one unfortunate to meet its glare. Two sharks are cut out from a stainless steel band ring, leaving the outlines which remind you the scene when you spotted one from afar. The band is 7.8mm (0.3 inch) wide. Here's a Shark band ring that looks just like silver but is made from a newly invented material. 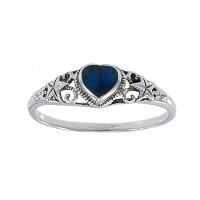 Silver jewelry has a high price point and requires maintenance. Various attempts are made to deal with these issues. One new technology breakthrough is the successful creation of a premium grade jewelry alloy with the same silver luster that is so well loved. Yet it is low priced and maintenance free. For folks with sensitive skin, this material is hypoallergenic, nickel and lead free. Give it a try. 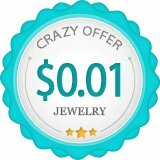 It opens up new options for you when buying jewelry. This is a ring to wear to the beach or reminds you of it. The heart-shaped shell is made from Paua, one of the most beautiful shells of the sea and on each side of it is a starfish. Starfishes and shell. If you love the beach and the sea, this ring says it well. 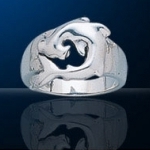 Five Humpback whales dance closely in this cute 925 sterling silver whale ring. This spritely crab has its claws out ready to pinch some toes! The size of the crab is 14 x 10mm and it is all smooth and shiny so it was thought a ring band with matt finish will provide a nice contrast and it turned out very well.